It was a grand night. Paradox Photography was there to catch some of the moments including MC Alice Brine‘s slow evolution throughout the show from stand up comic to variety show hostess. All the acts were brilliant. From left to right, top to bottom: Seth Hoffman, Amourous Ava, Hadassah Grace, Hugo Grrl, James Nokise, Valerie Vendetta, Ruby Ruin, Moira Mackenzie and Victor Victorious. 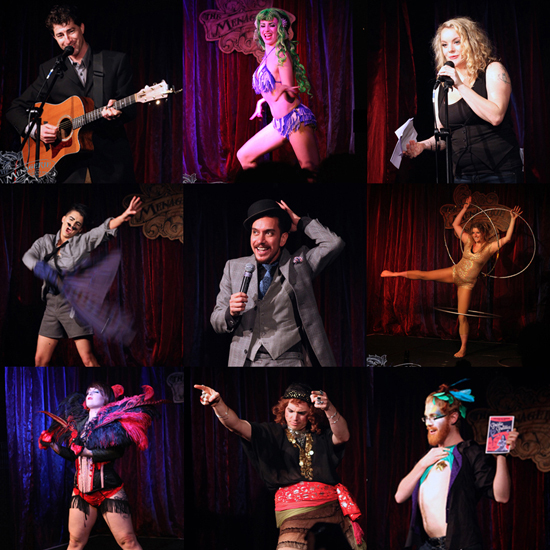 The acts from The Menagerie May 2015 all brought their own magic.